Less Invasive Alternative to Gum Surgery. Are you trying to find ways to get rid of gum disease with remarkable success? If so, you need to come to Aria Dental to receive advanced LANAP® treatments that can be a solution for gum disease! This remarkable surgical laser procedure is a recent development laser in periodontal treatment that is painless while being highly effective. The energy from laser will reach bacteria quickly and eradicate it with up to 90 percent less inflammation to surrounding tissue. LANAP® not only fights with severe periodontitis by regenerating of natural cells in the patient’s tissue, but also encourages bone development around existing teeth and decreases the risk of tooth loss. 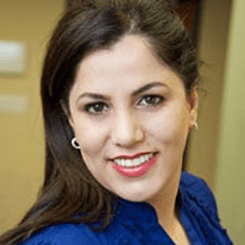 Dr. Maryam Horiyat and our LANAP® certified periodontists are dedicated to use non-surgical treatment options to give the patients the best results with reduced pain or lengthy healing times. They utilize a revolutionary gum treatment method Called LANAP® (Laser-assisted New Attachment Procedure) by MILLENNIM Dental Technologies Inc., which is the ONLY laser with the science, research, and human histological studies proving its claims! Nothing compares to LANAP® laser surgery at Aria Dental of Mission Viejo with the best board-certified periodontists who are also certified in LANAP®. For innovative, gentle, progressive gum treatment, please call (949) 364-9600 or to book your appointment. 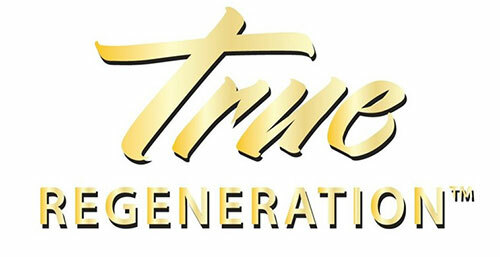 The World’s First EVER FDA Clearance for True Regeneration! … CAN CLAIM TRUE REGENERATION INCLUDING BONE FORMATION. LANAP® (Laser-assisted new attachment procedure) at Aria Dental is a modern approach, FDA-approved, and minimally invasive method to address gum disease. It allows our periodontists to remove only diseased tissues without removing or damaging any of the healthy tissues; it helps to form new attachments between your gums and teeth by removing diseased tissues, killing the bad bacteria in your gums, and stimulating existing stem cells to regenerate healthy gum and bone growth. Unlike traditional gum surgery method that utilizes scalpels and sutures (stiches) to cut away diseased or infected gum tissues, LANAP® does not leave patients with loss of tissue volume because there is no cutting or stitching to treat the infection, thus, there is no post-operative pain and discomfort. LANAP® is a the only scientifically proven methodology that results in true periodontal regeneration, new bone growth, and gum tissue reattachment. It is accomplished with PerioLase® MVP-7 digital pulsed Nd:YAG dental laser for treatment of Periodontitis “Gum Disease”. Reducing Inflammation and bleeding gums by about 90% after one visit. Reducing likelihood of tooth loss. Only scientifically bone regeneration technique. Shorter recovery time & less down time. Little to no gum recession. Saving money by being less expensive than surgery. How LANAP® Works to Improve the Health of My Smile? The first step is to assess gum pocket depths and tissue damage with periodontal measuring tools. Vaporizing the bacteria, disease tissue, pathogenic proteins that is causing damage to the connective tissue by using PerioLase®MVP-7TM. Breaking up and eliminating tartar build up around the tooth with ultrasonic scaler. Modifying the bone at time of surgery. Using laser to form gel-cloth containing stem cells from bone and periodontal ligaments. Reconnecting healthy gum tissue to the root surface of the tooth with a compression technique that encourages a natural reattachment, with no stiches required. Adjusting occlusal trauma (a bite adjustment) is necessary to make sure the teeth are well aligned and comfortable. What Is Recovery from PerioLase® Treatment Like? Following your procedure, you will experience less swelling or bleeding, and more comfort than with traditional periodontitis surgery. Recovery time is also faster, getting you back to your daily activities sooner. LANAP® provides a pleasant dental experience and better outcomes than any other conventional periodontal surgery. How Do I know If PerioLase® Is Right for Me? If you have been diagnosed with periodontal disease, you are most likely a candidate for PerioLase LANAP®. PerioLase® is also a safe alternative to conventional surgery for those who suffer from other health conditions including heart disease, diabetes, or for those who might be pregnant. PerioLase® may be recommended if you have had periodontal treatment in the past and are experiencing symptoms again. Once you have had gum disease, it is common to have a relapse. Consider PerioLase® as a safe alternative to traditional periodontal surgery and ask Dr. Horiyat if PerioLase LANAP® is the best option for you. Why Choose Aria Dental for Periodontal Treatment? Your smile doesn’t deserve any less! Aria Dental offers LANAP® therapy that is the absolute advancement when it comes to therapeutic and non-surgical gum disease treatments. Our effective LANAP® treatments are straightforward and effective, providing you with the very best in modern care. You shouldn’t trust just any dental laser provider. LANAP® is the gold standard and our experts are board-certified periodontists who are also certified in LANAP®. 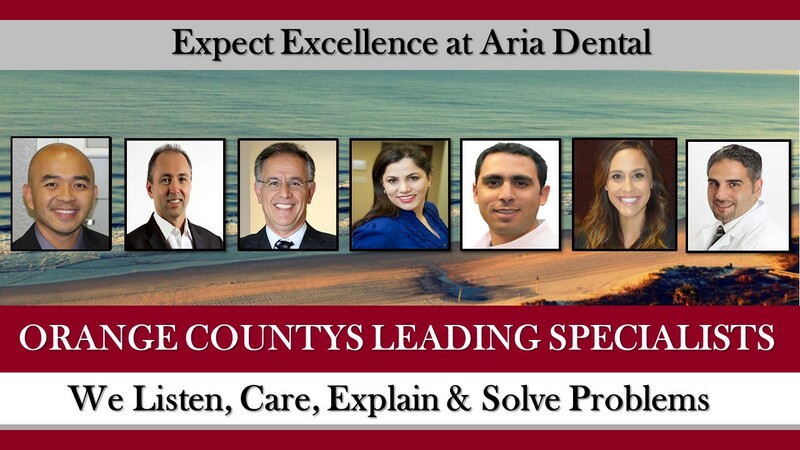 If you’re looking for the best laser dentist in Orange County, contact Aria Dental today. We’re the top LANAP® practice in Orange County, assuring the highest quality of treatments possible.